I have recently been asked, by a number of people, whether Arizona recognizes Domestic Partnerships, and how it compares to marital rights. Domestic partnerships are recognized in Arizona, but only for limited purposes, such as where a patient in a hospital is unable to make or communicate healthcare treatment decisions. Arizona Revised Statutes §36-3231 provides that, in cases where the patient is unmarried, a domestic partner may be allowed to act as a surrogate. Certain cities in Arizona recognize domestic partnerships and have registries where partners can file a declaration of domestic partnership or a civil union, but their rights are generally restricted to visiting the other partner in a hospital or health care facility. Some insurance companies provide options for domestic partners, and others don't. You would have to contact your insurance company to determine what, if any, benefits are provided. It is important to note that there is no law in Arizona giving domestic partners the same or similar rights as a couple who is married. 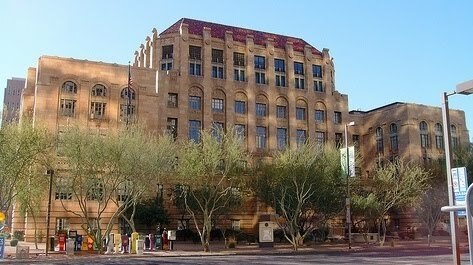 By law, married couples in Arizona have inheritance rights; the right to be covered on health insurance policies; the right to make healthcare decisions for a spouse under certain circumstances; and, in the event of a divorce, the right to a fair division of community property, the right to receive spousal maintenance (if they qualify under the statute), and parental rights. For domestic partners, however, none of those things are automatic, and some of them (such as a community property division, and receiving spousal maintenance) are precluded under Arizona law.